Here’s a cool way to begin the new year–widening our horizons by exploring cultural crossroads that most people don’t know about. This photo’s from the other side of the world from my home in California. It’s from the beautiful island of Mauritius. Many Indians came to Mauritius as laborers in the 19th century when it was a British colony. Gandhi was appalled when he visited the island and found them living in dirt hovels. But many worked hard and became increasingly wealthy, and they’re now Mauritius’ most influential ethnic group. They transposed their Hindu faiths to the island, and India’s traditional religions and Mauritius’ natural landscape have blended in many ways. 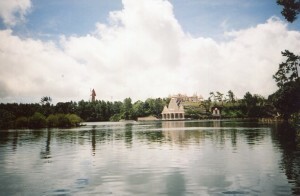 I took the above photo from Mauritius’ Grand Bassin Temple. 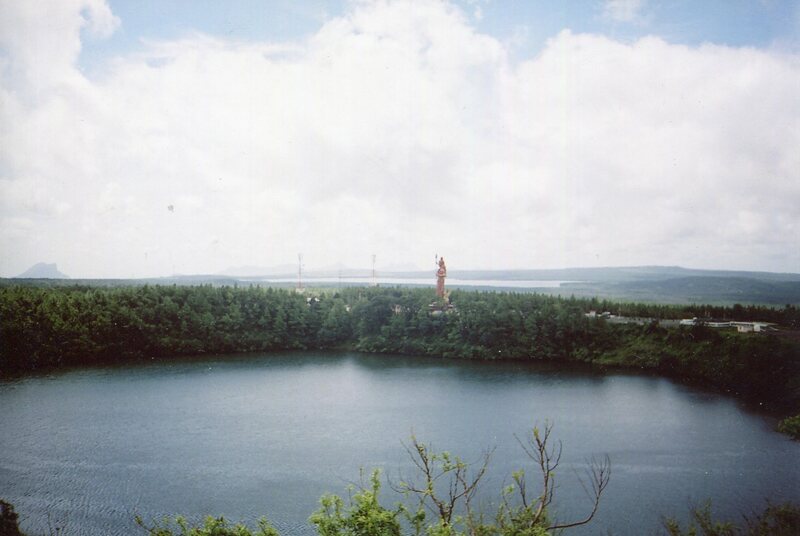 It rings a crater lake in the mountains of the southern part of the island, and Hindus think it’s the holiest place in Mauritius. 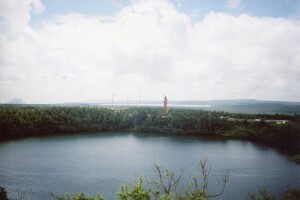 Some believe that Shiva traveled to the island, spilled water he was carrying from the Ganges, and prophesied that Hindus would later come to Mauritius. 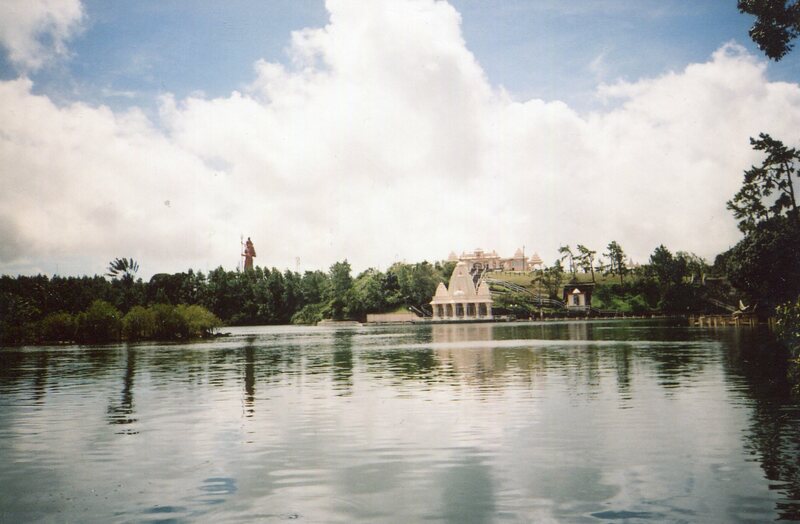 Many thousands of Mauritius’ Hindus flock there during pilgrimages. But it was quiet when I was there. A priest sang devotional songs for a group of about 40 people. They all knew them by heart and sang along. He gestured to newcomers to enter, and his bearing was always unassuming. My driver asked if we could stay through the service so he could join. I was impressed with everyone’s Hindu piety. Ancient India’s huge religious imaginations had already envisioned the Ganges as a celestial river flowing down to Shiva’s head and cascading through his hair to break the force of its fall. This idea of profusely flowing sacred water beautifully meshed with Mauritius’ mountain lake. Little white and pink temples dot the densely wooded shores. The water reflects all the colors, and everything shines under the tropical sun. I found the natural and cultural forms as joyfully abundant as the Ganges’ flow. Traditional Indian cultures have seen reality as more of a copious flow of life’s energies than the balanced forms which Western thought has more often preferred. This Indian way of seeing has been transplanted to many places beyond its shores–including this little island. India’s cultural heritage is robust enough to blend with many landscapes, and the world is much richer for it.